Background/Purpose: Bucillamine (BUC) is a small-molecule disease-modifying antirheumatic drug (DMARD) developed in Japan. The efficacy of combination therapy with BUC and methotrexate (MTX) has been demonstrated in comparison with that of placebo in rheumatoid arthritis (RA). However, its efficacy in comparison with other DMARDs such as sulfasalazine (SSZ) has not been elucidated. Purpose: To assess the disease activity at 1-year after addition of BUC in comparison with SSZ to MTX in typical clinical practice. Methods: We analyzed data from 16,988 cases of clinically diagnosed RA registered in a large database (NinJa: National Database of Rheumatic Diseases by iR-net in Japan) from April 2012 to March 2017 (1). The dataset was clinical information at a certain point within each year, and the point was any point selected by a registered physician. In this study, we compared two groups of patients who received BUC or SSZ in addition to MTX in the earlier year. We excluded patients who started receiving biological DMARDs, and BUC or SSZ the year prior to the study period, and those whose regimens were changed to other DMARDs such as tacrolimus. Baseline characteristics were compared using the t test, Wilcoxon test, or chi-square test. Chi-square analysis was conducted for outcomes. The predicted probability of BUC treatment was calculated by fitting a logistic regression model by using all clinically relevant variables as presented in Table 1. Moreover, to reduce the effect of treatment-selection bias and potential confounding in this observational study, we performed rigorous adjustment for significant differences in the baseline characteristics of the patients with propensity-score matching by using the following algorithm: 1:1 optimal match with a }0.2 caliper and no replacement. We used the standardized difference to measure covariate balance, whereby a standardized mean difference of >0.1 represents meaningful imbalance. The outcome was remission rate with disease activity score in 28 joints based on C-reacive protein level (DAS28-CRP) in the year after initiation of BUC or SSZ therapy. Results: The groups that received BUC and SSZ in addition to MTX included 134 and 169 patients, respectively. Table 1 shows the results of the pre- and post-propensity score matching of the patientsf characteristics. In each group, 117 patietns were compared after score matching. The remission rates of DAS28-CRP in the following year were 48.7% (57/117 patients) and 51.3% (60/117 patients; P = 0.79), and the drug use frequency rates in the following year were 74.4% (87/117 patients) and 71.8% (84/117 patients; P =0.93), in the BUC and SSZ groups, respectively. Conclusion: Combination therapy with BUC or SSZ and MTX for rheumatoid arthritis did not show a significant difference in disease activity. Further studies are needed. Disclosure: G. Kidoguchi, None; K. Tokunaga, None. Kidoguchi G, Tokunaga K. Disease Activity One Year after Addition of Bucillamine or Sulfasaladine to Methotrexate in Japanese Patients with Rheumatoid Arthritis : Propensity Score Analysis [abstract]. Arthritis Rheumatol. 2018; 70 (suppl 10). 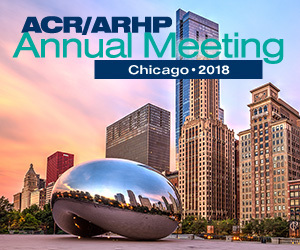 https://acrabstracts.org/abstract/disease-activity-one-year-after-addition-of-bucillamine-or-sulfasaladine-to-methotrexate-in-japanese-patients-with-rheumatoid-arthritis-propensity-score-analysis/. Accessed April 21, 2019.